Selling my beautiful retrimmed wheel by “Jack” at Royal in Feb this year. Features thicker rim, flat bottom, thumb grips , 12 O’clock marker in red and red stitching. Perforated leather sides smooth top and bottom. Multifunction Tiptronic controls, complete with airbag. 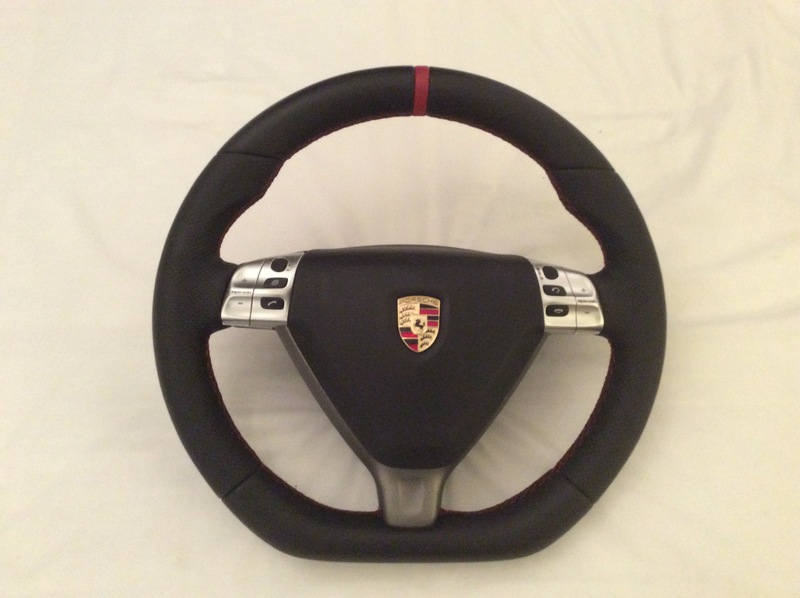 Only selling because sold 997, really is nice to hold and use, made car feel more special. Put original wheel back on for sale . Save the hassle of sending yours off and loosing originality come sale time. Looks brilliant in red interior . 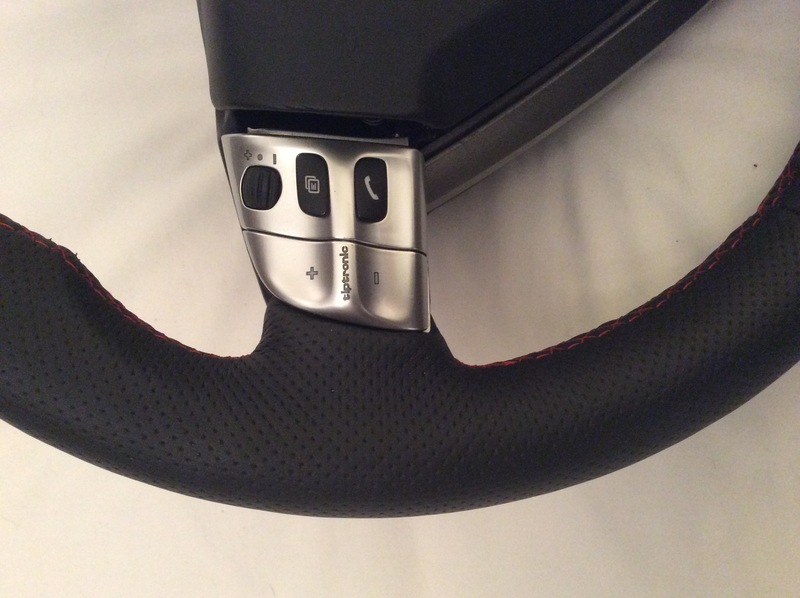 Will split and sell wheel without airbag, not sure but Tip and Multifunction buttons do remove so wether can adapt for manual cars ?? 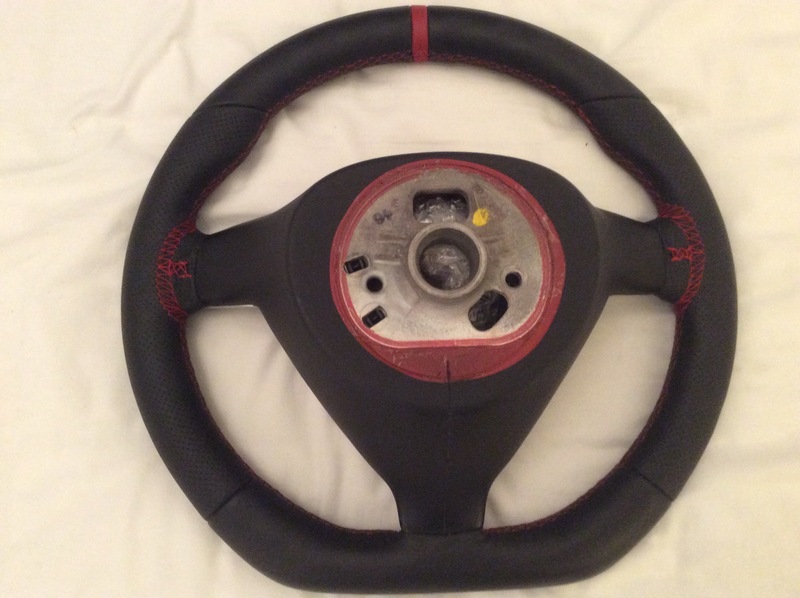 I have a 2005 Tip 2S with a non-multifunction steering wheel, would this be a straight swap? 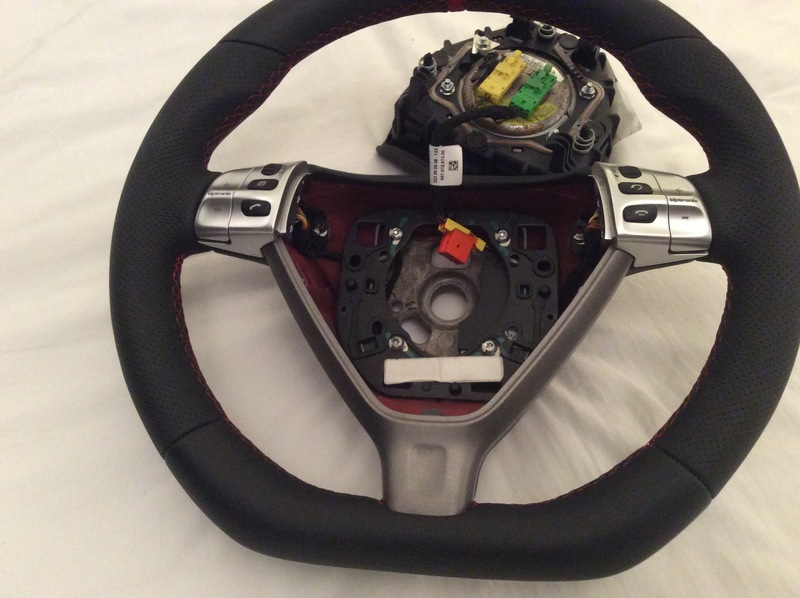 It would be Robert for the wheel , but can't answer whether the MF would work in theory if the MF was turned on using piwis or durametric it should . Thanks for the reply, i've got an aftermarket stereo with carplay etc and would want the multifunction to work with it, I'm doubtful that it would?